The answer is; YES! But... There is no the 100% guarantee that it will work. This is the main topic of my post today and I'll share the reasons for that with you. What's more, I'll write a detailed step-by-step guide to recovering these files in a correct way. I hope that my instructions will be helpful and you'll manage to get your important files and folders back to life! 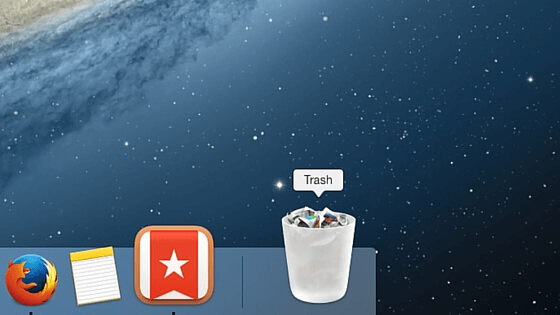 Can Deleted From Trash Files be Recovered back on Mac? Everyone knows that getting a file back from the Trash bin is easy. You delete it and find in Trash again. After highlighting it, you can right-click on that file and select the 'Put back' line. The file will appear in its previous location immediately. Som the conclusion is that macOS doesn't remove files permanently in one moment. But when you delete a file from the Trash bin, things could be more sad, as you can't find that file by yourself anywhere on your MacBook Pro. Does it mean they are gone forever? Well, it depends on the certain situation. If your Mac or MacBook has HDD (a hard disk drive), there are quite high chances of recovering your files. Are we speak technically, just the filename is deleted from the Macintosh HD and the space that belonged to that file is marked as 'vacant' for new files to take its place. This disk directory works as a chief commander that manages the data activities that happen on Mac's hard drive. It saves all the information such as files size, lives, and so on. After removing a file just the header info is deleted, while the data itself remains. That means that you actually can recover a deleted file until you haven't overwritten its space with some other new file. However, there are no methods to find out whether this space was re-written or your Mac chose another disk space to save new files. There is another story for MacBooks and Macs with SSD (a solid state drive). It is a more sad story, but there is nothing to do with it. You may restore your file with the backup. And there is no other way to recover it. SUch things happen due to 'Trim command' that is the organizer for SSD disks. While removing a file from the Trash bin, TRIM zeroes out that part of the disk on macOS. That's why it is nearly impossible to save removed data on SSDs. Now, after you know all this information, what to do next? Let's Get Erased Files to Your MacBook Pro! The most important thing is to stop using your MacBook Pro immediately after you remembered that there are some important files that were deleted from the Trash bin. Try not to save new files, if you use a Mac with HDD. They may overwrite the space where that deleted files were stored. So you need to stop generating new files until you recover the old ones. Try to remember whether you've saved that files in some other place. If you are going to recover photos, think for a while if they can be saved on your phone, memory card, external HDD. If you're going to get back to life project files, remember if you shared them with your colleagues, check the sent emails, maybe they can still be there. You're very lucky if your Time Machine backups are enabled. The files you're looking for may be in the last Time Machine's snapshot. Open the Time Machine, go to the necessary folder and find your files there. Apple offers a detailed instruction on doing that correctly. Use this manual to recover your erased files. If the steps I have described above don't work in your situation, use a special professional recovery tool to get your data back to life. 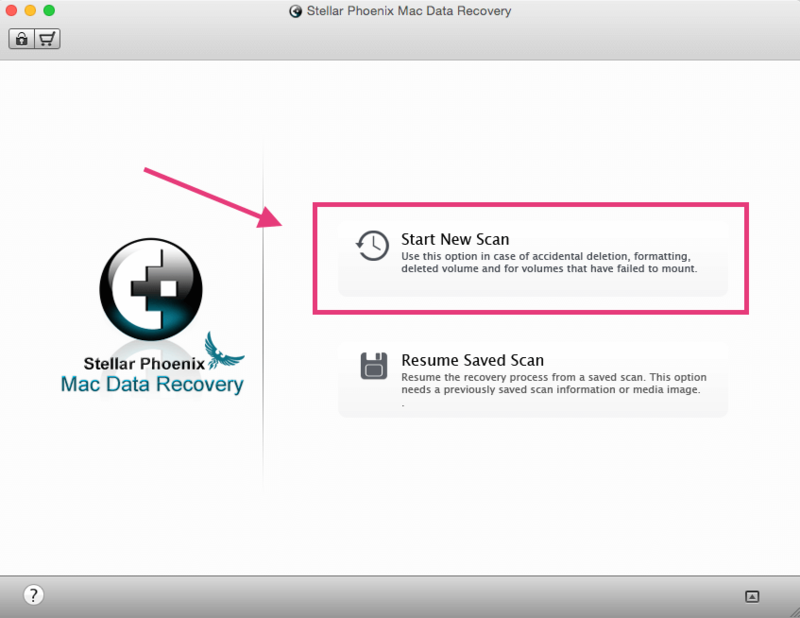 Try the Stellar Mac data recovery application. The good news is that their trial version is absolutely free. However, it gives you a chance to scan and find the removed files in the Preview window. To fully recover your files, this software will need a full version. It is not the only software option for recovering the deleted files. I can advise you nice alternatives such as Remo Recover Mac and Disk Warrior 5. They work well too! As a conclusion, I can say that backup is the king. It is the best way to avoid permanent deleting of important data. I can recommend you using Apple Time capsule, that is designed by Apple for the Apple users. Still, if you want to find some more affordable solution, check out Seagate personal cloud home media storage device. It is a quite nice alternative. You can also use online services such as Google Drive or Dropbox. They also have free plans and are easy-to-use. In macOS Sierra, you can use iCloud for backing up your data. However, I personally prefer external hardware devices, because they usually have a greater volume. In any case, I wish you good luck with recovering your deleted files on your Mac. I hope that my article will be helpful to you with that. Please subscribe to my newsletter to learn more tips and tricks for working with Macs!